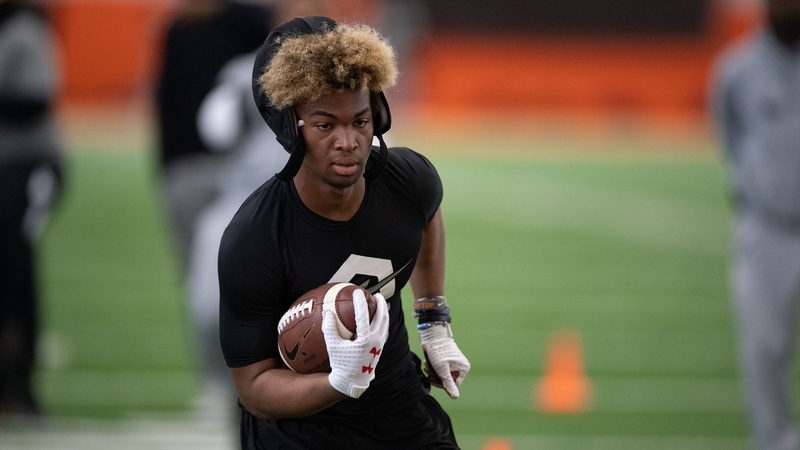 Notre Dame is looking to land two running backs in the 2020 recruiting class now that new running backs coach Lance Taylor is off and running. 2020 Dublin Coffman (Ohio) running back Michael Drennen II‍ visited Notre Dame just before Taylor was hired and thoroughly enjoyed his visit to South Bend. “I talk to Coach (Brian) Kelly,” Drennen said. “I love Notre Dame. The whole background, I like it. There’s a foundation about it and my parents love it. The four-star prospect plans to get back to Notre Dame soon to check in with Taylor and the rest of the Notre Dame staff. “I need to reach out to him,” Drennen said of Taylor. “My dad was talking about it. He wasn’t there yet when I was there. Kelly also impressed the Dublin Coffman star as Drennen was able to see a different side of the Notre Dame head coach in person. Many schools across the country have heavily recruited Drennen, but he received two big offers from Alabama and Florida in the past week. The offers have caused him to shake up his recruitment a little bit as the chance to play in the SEC holds some weight. The Ohio native was in Tuscaloosa a week ago and noticed several differences at Alabama compared to some of the programs in the Midwest he’s visited. As for his recruitment, Drennen is taking it slow and will likely come out with a top group in the next month. Never miss the latest news from Irish Sports Daily! Irish Sports Daily is an independent site and is not affiliated with University of Notre Dame. ©2019 Irish Sports Daily. All rights reserved.